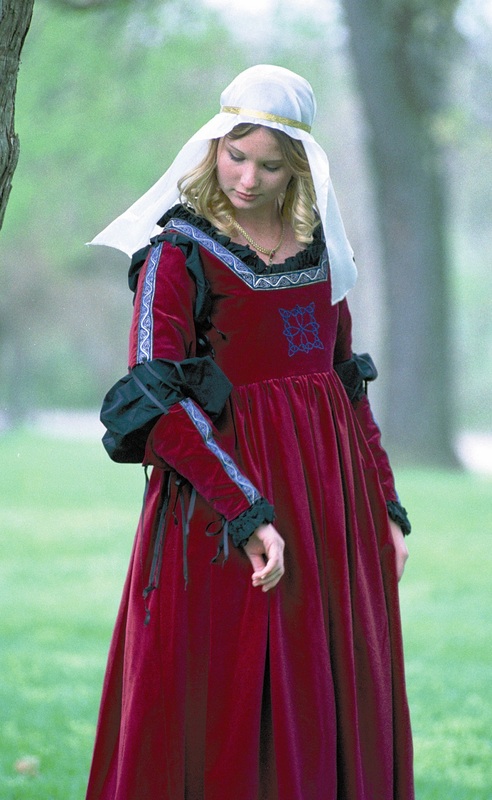 Fashioned after gowns worn in the late 1400's, this comfortable fit dress is made of cotton velveteen, the closest modern equivalent to period velvet. An embroidered motif accents the bodice. Machine wash, cool, gentle, tumble dry. Chemise and Hat sold separately.